This tourism tale is a ripper. And it’s built around a fictitious hotelier and 1920s architecture that Londoners are lapping up. In December, I headed to the English capital to unveil this lavish lie.. 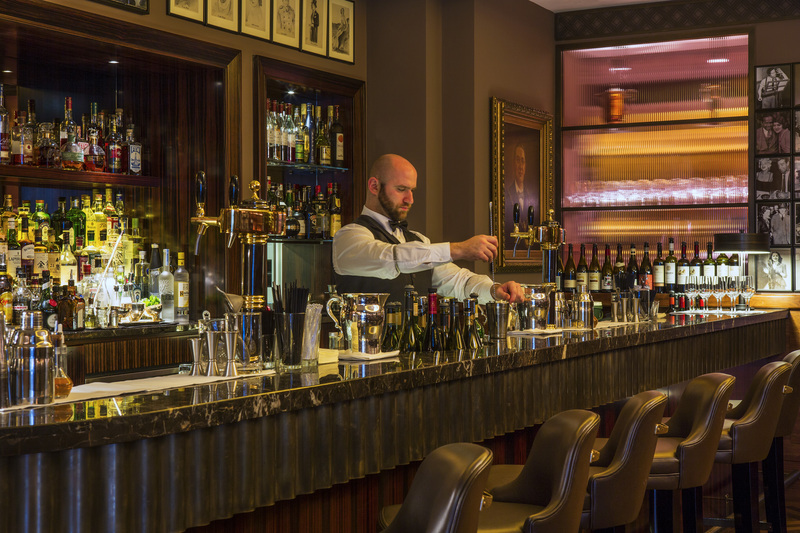 THE iconic ruby red British Beefeater gin guy is perched above the bar in which international accents are twirling around the room like Turkish dervish dancers. In one dark, moody corner, Americans are gushing about film making. The woman plonked behind me is all blustery and British, collapsing into a comfy chair with bags of designer shopping, immediately, and predictably, ordering a pot of English Breakfast tea. Around me, the walls are papered with black and white shots of screen starlets while above, a sparkling chandelier hangs from the ceiling. 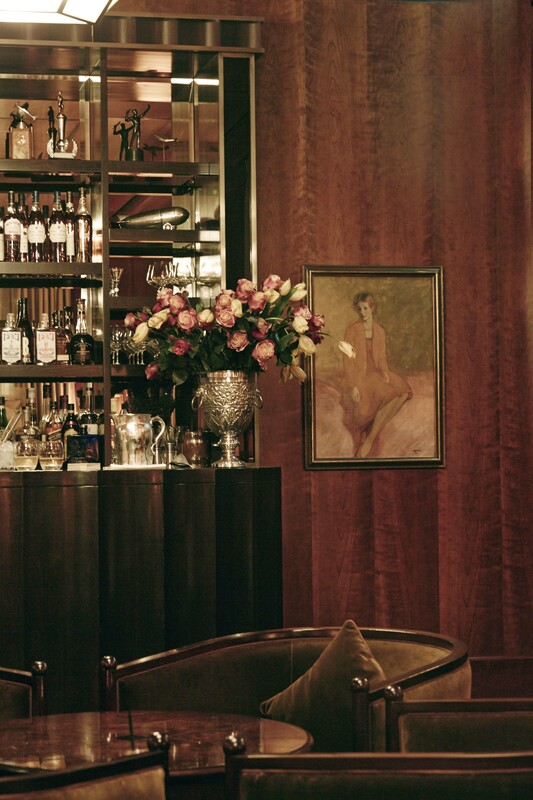 I am in The American Bar of London’s Beaumont Hotel, perusing the cocktail menu. There’s the aspirational Aviation – a concoction of Bombay Saffire gin, maraschimo crème de violette and lemon juice; the comical Corpse Reviver No 2 – gin, contreau, lillet blanc, lemon juice and absinthe; or the jaunty Jimmy’s Collins, made of Finlandia vodka, lemon juice, sugar and soda. But who the hell is Jimmy? 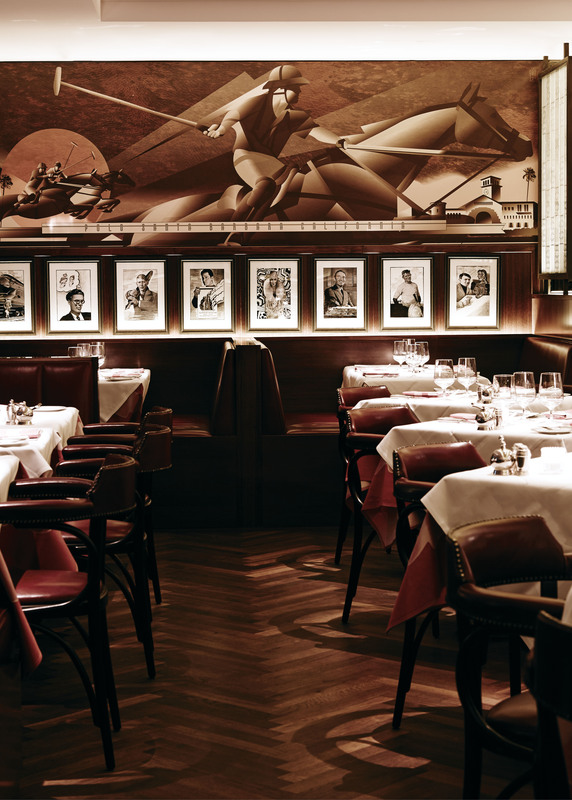 According to legend, Jimmy Beaumont was a famous hotelier in the 1920s in New York, but strict prohibition laws in the United States made doing business difficult, so Beaumont moved to London where he opened this Mayfair establishment. One on floor, there’s a portrait gallery of men in military uniforms which capture the friends of Beaumont who went off to war. Guests who visit, often recount how their grandmothers stayed here in the 1920s. The only problem here: Jimmy Beaumont wasn’t real. He never existed. Nor was this hotel built in the 1920s. Yes, it’s one big, delicious lie. 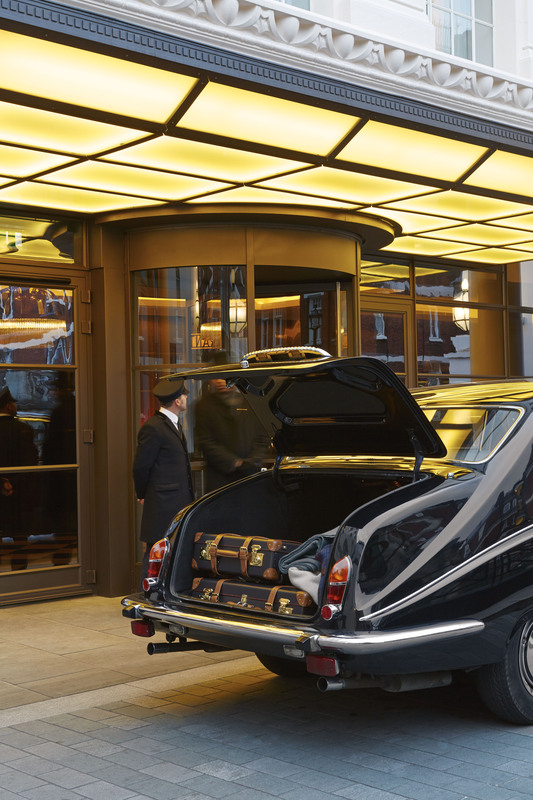 Opened just three years ago, this elegant establishment, just a short walk from Oxford Street, was the former car park for London’s iconic department store Selfridges. While the car park façade has been heritage-listed and retained, inside the bones have been completely demolished and rebuilt, re-opening at the Beaumont in September 2014. 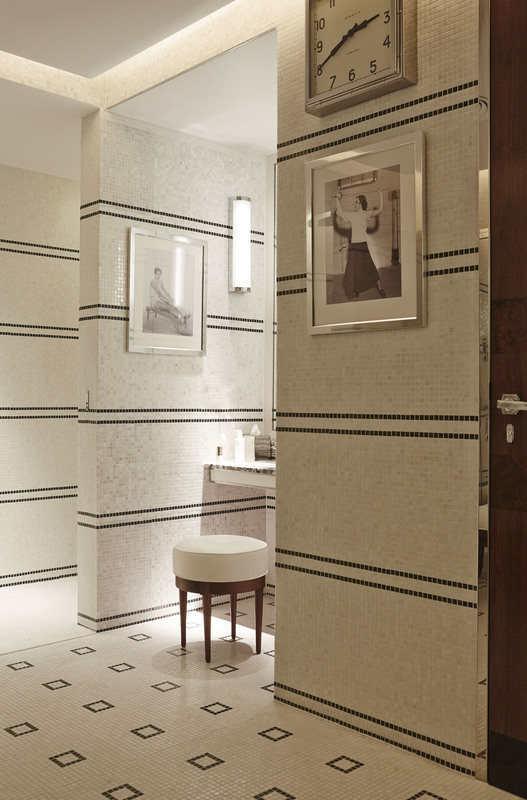 What is real, however, is the style and soul this art-deco hotel has managed to capture. Glance at the top left of the building from the outside and you’ll see a piece of grey, twisty artwork. Built in partnership with the City of Westminster which decreed inner London needed more public art, the Antony Gormley sculpture is actually a three-storey high hotel suite. Designed by acclaimed artist Antony Gormley, ROOM, is a dark, oak-clad suite which aims to capture the concept of night. 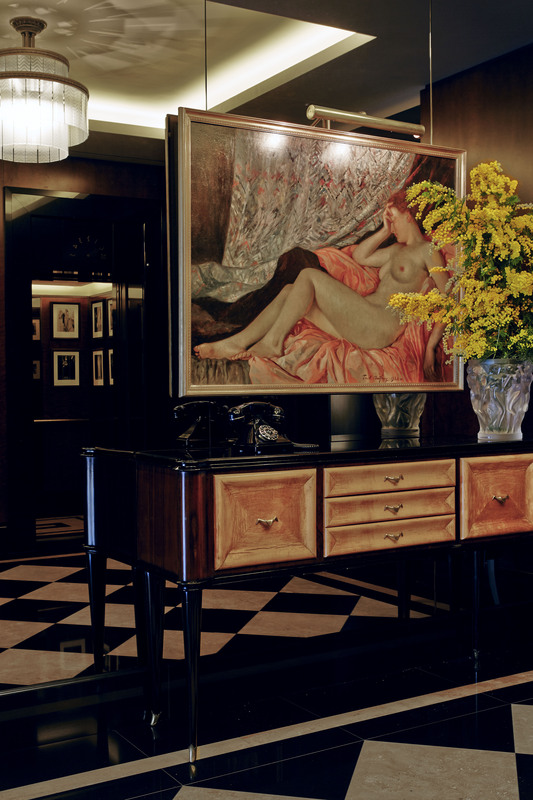 There are more than 500 pieces of art scattered around this hotel, some of which do date back to the 1920s. Guests who stay here can be forgiven they’ve stepped back into the 1920s with a private Cub Room space for quiet breakfasts in the morning or evening cocktails; the American Bar which depicts a typical watering hole you would have found in London in the 1920s and specialises in Bourbons and American Whiskies; and 100-seater Colony Grill Room, which combines the concept of a London and New York diner back in the day. Feast on the likes of Ayrshire 30-day dry aged Aberdeen Angus steak, or a New York hot dog if you please, and finish with a Knickerbocker Glory ice-cream sundae. Tucked away downstairs, there’s a Turkish hamman, plunge pool, spa, sauna, gym, and hair salon, which offers an old-fashioned wet shave for gentlemen. 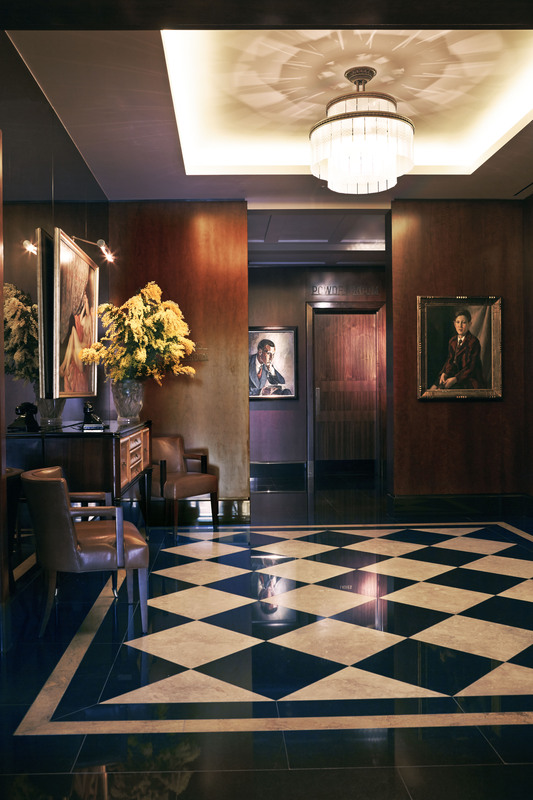 Inside the hotel’s 73 rooms, studios and suites, guests are treated to a complimentary mini bar, beautiful library books, Beaumont branded chocolates and more than 200 CDS of in-room entertainment, including New York lounge music to groove into the mood of a 1920s hotel. 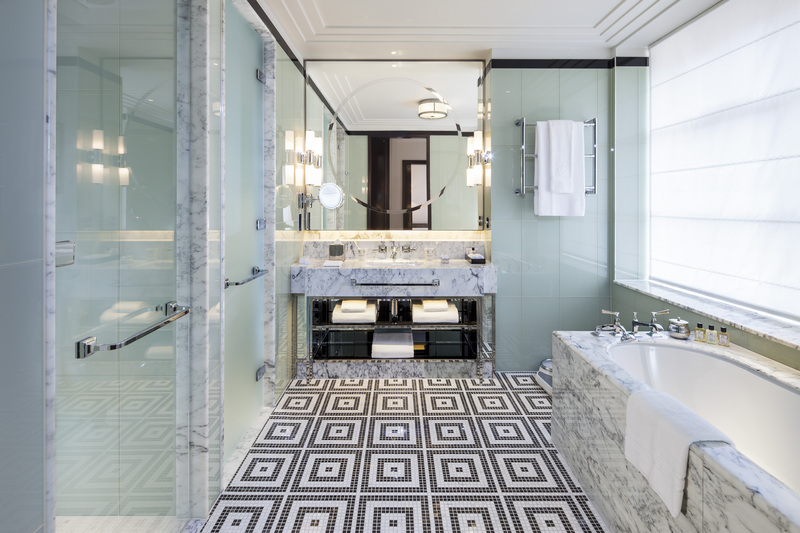 The bathroom is all art-deco black and white tiled heated floors, plush Beaumont monogramed bath robes, lavender bath salts for relaxation and London’s Dr Harris & Co toiletries which date back to 1790. 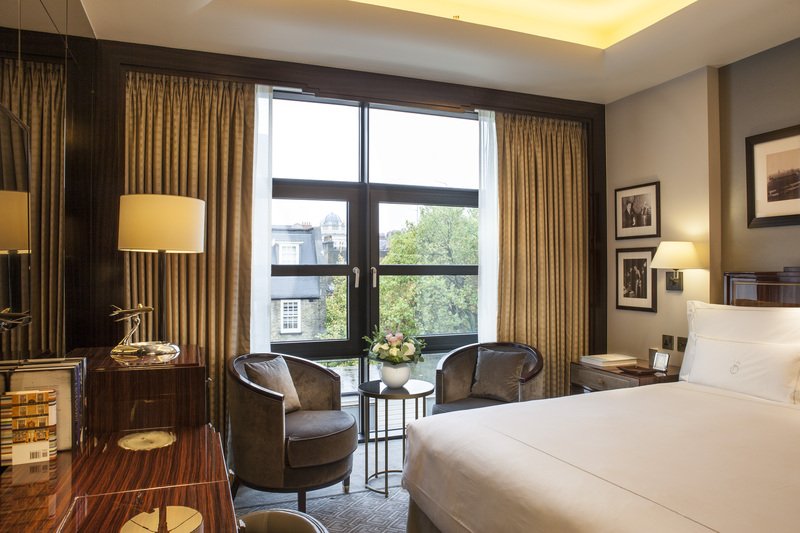 For those with money to spare, consider booking the opulent Roosevelt Suite which can expand to occupy the hotel’s entire fifth floor and boasts five bedrooms and large terrace. Guests are also presented with a list of extensive shopping discounts at exclusive stores where their purchases can be delivered back to the hotel. Or they can take advantage of the Beaumont’s vintage Daimler vehicle, which is available for free use for drop-offs within the Mayfair area. 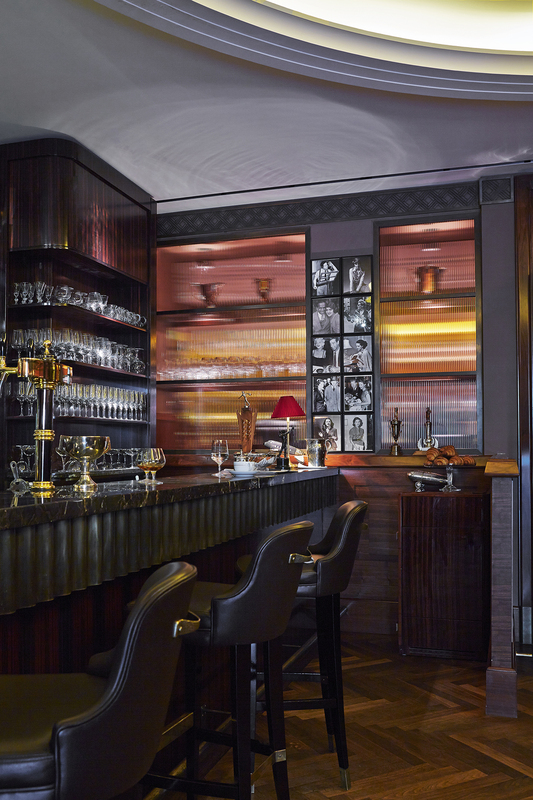 This five-star hotel, named Independent Hotel 2017, is the first for Chris Corbin & Jeremy King, acclaimed restaurateurs behind The Wolseley, The Delaunay, and a number of other leading eateries in the English capital. Back in the American Bar, the fantastic fib is so believable, you almost expect Beaumont to wander in at any moment and order his eponymous cocktail. And that’s what makes this establishment, and London lie, so damn delicious.